We are reckoned amongst the clients for offering a wide array of Garden Benches. All these benches are extremely rigid in state and have a fine finishing. 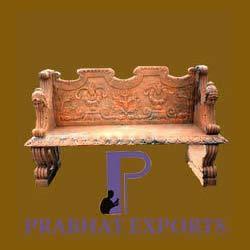 Moreover, we offer these benches in various sizes and designs as per the requirements of our clients. 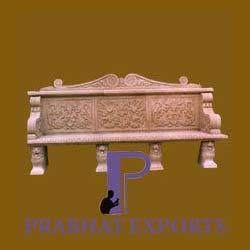 Quality is the hallmark of our industry, to maintain excellent quality standards we manufacture and export a wide assortment of Marble Garden Benches. These are made using fine grade natural stones and are a perfect blend of form and function. Offered benches are highly reckoned among our clients due to their fine quality and reliable nature. Additionally, these are widely used in parks, bungalows and many more places. Owing to rich industrial experience, we manufacture and export a wide array of Garden Benches. These are designed to meet the exact decorating requirements of pour clients in terms of colors, shapes and styles. Offered Garden Benches known for the beauty and adaptability in decoration. Moreover, these are available at reasonable prices.